I first read Benjanun Sriduangkaew’s short fiction in a Clockwork Phoenix anthology, and it was love at first read. For the first time in a long time, I felt like I was reading something new, a fresh writing style that no one else was doing. Although peppered with futuristic sounding words, reading “The Bees Her Heart, the Hive Her Belly” it was like getting immersed in the smell and memories of my favorite comfort foods. Unapologetic and avant-garde, her writing blends lustrous beauty and edgy technology, in environs that can be dreamlike, militant, and intimate; and often all of them at the same time. It’s happened a few times now, that I’ve thought about purchasing an anthology, and only decided to buy the book because her name was in the table of contents. If you’ve enjoyed novels from N.K. Jemisin or Kameron Hurley, Benjanun Sriduangkaew is right up your alley. You can see where it all started with her intensely imaginative “Courtship in the Country of Machine-Gods” that was published at The Future Fire (and can also be found in The Apex Book of World SF: Volume 3) and would garner her a 2014 Campbell nomination. 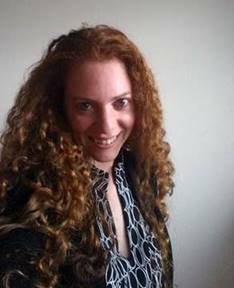 Since “Courtship” debuted, her work has been featured at Expanded Horizons, GigaNotaSaurus, Beneath Ceaseless Skies, Clarkesworld, Mythic Delirium, Tor.com, and in the Clockwork Phoenix, Steampunk World, Meeting Infinity, Phantasm Japan, and She Walks in Shadows anthologies, among many others. 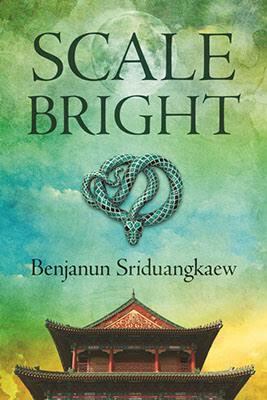 Her novella Scale-Bright, the final chapter in her series of mythology retellings, was nominated for a BSFA award. I highly recommend Niall Alexander’s columns at Tor.com about Scale-Bright and the associated stories. If this issue of Apex Magazine is your first experience with Sriduangkaew’s writing, you’re in for a treat with “The Beast at the End of Time.” At first, the story felt a little like Valente’s “Silently and Very Fast,” albeit written in a very different key signature. Nabaat wakes up in a world that should be thriving, if her instructions had been followed to the letter. But this world is dying — programs haven’t been followed, requests weren’t answered, something went horribly wrong and the world’s denizens began sacrificing themselves in an attempt to find a solution. But now that Nabaat is awake, she can fix everything, right? Because fixing the broken things is her job, that’s the reason she’s awake, right? Depends on your definition of the word “fix.” Benjanun was kind enough to answer a few of my questions about the genesis of the story, tricky POV switches, her writing style, and other short fiction authors she recommends. Apex Magazine: Early in “The Beast at the end of Time,” you use a smart method to change the narrative from third person POV to first person. Why not present the entire story in either 3rd or 1st? Why the decision to switch POVs at certain points? Benjanun Sriduangkaew: I love experimenting with points of view — I’ve written a story that was partly in second person and partly in third, and I like to joke that someday I’ll do one that does all three. Here in particular I think the switch helps illustrate Nabaat’s success in compartmentalizing herself, in creating a second self. Some distance is required and, in text, that move back and forth between third to first person feels to me like a natural choice. AM: The story is ultimately about Nabaat, but I was completely fascinated by Enmaten and what her family went through. Can you tell us a little about the creation and genesis of these characters? BS: I was slightly tempted to give Enmaten her own viewpoint, but felt that’d make the story too long for the short story format. Needless to say she’s led a demanding life (as has Nabaat, to be fair, but they have responded to harshness differently). Enmaten’s motive is partly to avenge her family, partly to heal the world as best she can, and most of all to survive. In those ways she’s the opposite of Nabaat. I also ended up unconsciously writing this story as a take on Beauty and the Beast; despite Nabaat’s nickname, both she and Enmaten variously fulfill both the roles of Beauty and Beast respectively, at different points. AM: Nabaat wakes up to a world whose coding has eroded over so many iterations. Perhaps eroding is the wrong term, but something in the code changed, and it’s caused unexpected and irreversible consequences that become tragic for the world’s remaining denizens. Many of your science fiction stories include references to computer coding, futuristic technology, the melding of people and machine, and the like. Is there any particular research that you’ve done (or real world experiences) to develop the technological terminologies you employ in your writing? BS: I’ve done my share of dabbling, and the interaction between tech and everyday life has been a longtime interest for me. We trust the tech we use easily but their origins are sometimes unsavory (created for use in war, for example) or part of malicious/oppressive systems. We shy away from understanding these tools at our own peril, so to speak. AM: Many of your stories feature two (or more) characters who often come from different backgrounds but realize they have a common goal. “The Beast at the End of Time” goes in a different direction entirely, with Nabaat having a very different goal than those around her, and I happily admit the end of the story was a surprise for me. Why does Nabaat want this particular ending? BS: She is a nihilist who believes that humanity is destined to end. I expect — though I haven’t built up extensive background for her — that she’s lived a less-than-easy life; before she went into suspension, she’d achieved considerable fame and power but it didn’t change her outlook that humankind is essentially unfixable. When hope is lost, all that remains is a finale and because (like most people) she’s narrative-minded, she wants an ending that is beautiful and total. Nabaat in particular is a character I intentionally wrote as having a role that’s usually not given to female characters, a genius and unapologetic in her monstrosity. AM: I first discovered your work in one of Mike Allen’s Clockwork Phoenix anthologies. “The Bees Her Heart, the Hive Her Belly” brimmed with pearlescent metaphors, unearthly technology, and emotive characters that were a hybrid of animal, insect, and metal, feeling like the most perfect blend of science fiction, fantasy, and engineering. After that, I was constantly on the lookout for more of your work, being rewarded time and time again with gorgeous prose, sentient spaceships, reinvented mythologies, and character’s journeys that spoke to me. I’m often recommending your work to others, yet I struggle to describe your style. So I put the question to you: For readers new to your work, how would you describe your writing style? BS: Ha — this is a difficult one! I’ve written a fairly big range, I think, of subjects and themes but I often come back to memory, identity, power. I want to say my writing is ruthless, though that mightn’t make a lot of sense to new readers. Maybe I can say that my style is intense? AM: I’ve enjoyed so many of your short stories and novellas over the years, do you have any plans to write a full length novel, or do more books similar to Scale-Bright that bring together a number of connected short stories? AM: What trends in speculative fiction would you like to see gain more popularity in the next few years? BS: Hm, that’s hard to say, but I’d love to see more writing that’s unconventional. Think Genevieve Valentine’s Mechanique or Kuzhali Manickavel’s fiction. Not a trend, but I’d still like to see more of: #ownvoices. That is to say, greater representation in fiction by authors from those backgrounds (writers of color writing characters of color, and so on). AM: As a writer of short fiction, I’m sure you read a lot of short fiction as well. What authors (of short or long form fiction) do you recommend?